With bankruptcy issues and a declining housing market, Detroit has certainly struggled. Thanks to dedicated long time residents and innovative entrepreneurs, Detroit today is vibrant with many new businesses opening. And that includes cocktail bars. Here are a few recommendations to get you up to speed with the Motor City’s offerings. Located in Corktown, The Sugar House is the ultimate presentation bar in the city. Full of flare, fun, and many drinks meant to be shared with friends, the Sugar House’s cocktail list has a lot to offer. Not only do they have a lengthy list of classics, but they also have many original drinks as well. Our suggestion is to bring at least a couple of friends to help you finish off one of their punch bowl cocktails. If you’re flying solo, we’d highly recommend trying one of their seasonal drinks (their winter offerings were influenced and named after the Chinese Zodiac). The Sugar House also has specialty events including Whiskey Tastings and Mixology classes so make sure to check their calendar. It’s impossible to talk about Detroit’s cocktail bars without mentioning their distilleries. Two James Spirits opened for business in late 2013 in Corktown. The small tasting room and bar set up boasts an impressive seasonal cocktail menu, focusing on fresh ingredients to accompany their spirits. 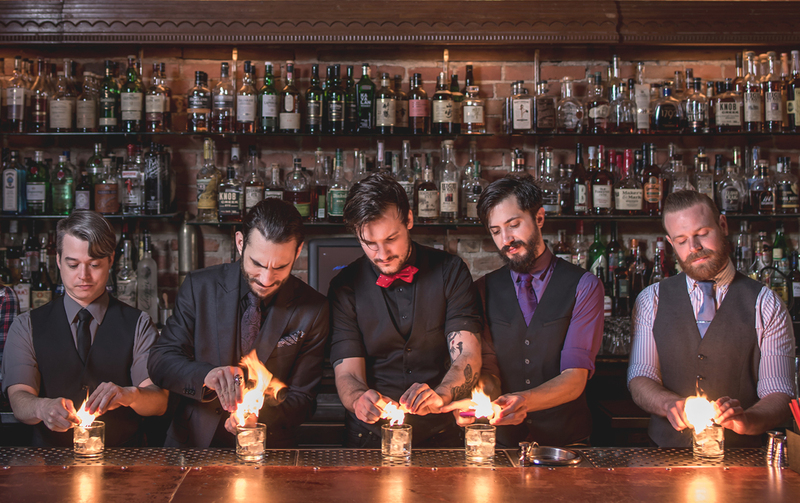 Check out their ‘Rye Sazerac’ made with their own Catchers Rye and Nain Rouge Absinthe Verte. To truly get the proper Two James experience, order a tasting flight. Then ask the bartender to help you pick a seasonal cocktail based on your favorite spirit from the flight. With an ever-changing seasonal menu, there’s always something new to discover. In Eastern Market, you’ll find another distillery serving up unique cocktails: Detroit City Distillery. Making their own spirits including rye, gin, and bourbon, Detroit City’s cocktails are expertly crafted and beautifully presented. Their Homegrown Rye is made from locally-grown rye. Two cocktails of note: ‘It’s Complicated’ and ‘Rye on Fire’. The former is a twist on a classic gin fizz with a more bitter flavor profile. The latter is both sweet and spicy with a distinct earthiness from the grain. However, your best bet may be to order their Omakase, or Chef’s Choice. As they are located in Detroit’s Eastern Market they have access to fresh, local, and unique seasonal ingredients right outside their front door. Since 1891 Eastern Market has been a cultural mecca full of beautiful produce, handmade breads & pastries, the finest butchers, and now, delicious spirits. Opened in December 2015, Standby in Downtown Detroit is a recent standout in the metro area. Their list of unique cocktails is massive, the food is outstanding, and it’s the perfect place to spend several hours on end. Their ‘All Gold Everything’ cocktail highlights Rittenhouse Rye, Braulio Amaro, and Yellow Chartreuse. The cocktail is spirit-forward and yet surprisingly easy to drink. If you’re looking for something a bit less boozy then you should check out their ‘Snake in the Grass’ cocktail. A riff on the Gimlet, this drink features Citadelle Gin, celery bitters, and mustard greens which are nitro-muddled. (Liquid nitrogen is used to quick-freeze the greens. They then pulverize them into a powder to quickly infuse into the base spirit.) The cocktail is fresh, clean, and delightfully tart. Also located in Downtown Detroit, The Keep features a speakeasy-style basement bar with exposed brick, low ceilings, and bartender-picked playlists. Their cocktail menu matches the decor. If you’re in the mood for a New Orleans-inspired cocktail, look no further. The owner, Leonard Lopp, spent 10 years in New Orleans, so he’s pretty particular about how his staff mixes any of the Big Easy’s classics. Their ‘Vieux Carre’ cocktail is made with Remy Martin VSOP and is utterly sippable. The ‘Exchange Alley’ is another favorite–a riff on a Sazerac. Made with Lot No. 40 Canadian Rye Whiskey and St. George’s NOLA coffee liqueur, it’s the perfect nightcap. One of Detroit’s claim to fame is the invention of The Last Word cocktail at The Detroit Athletic Club in 1916. As such, Detroiters are serious about their Chartreuse. Fans of the French herbal liqueur should check out the extensive list at the aptly named Chartreuse Kitchen & Cocktails in Midtown. Order a Last Word while checking out the menu which include rare and older bottles of their namesake liqueur. Detroit’s cocktail scene is thriving. 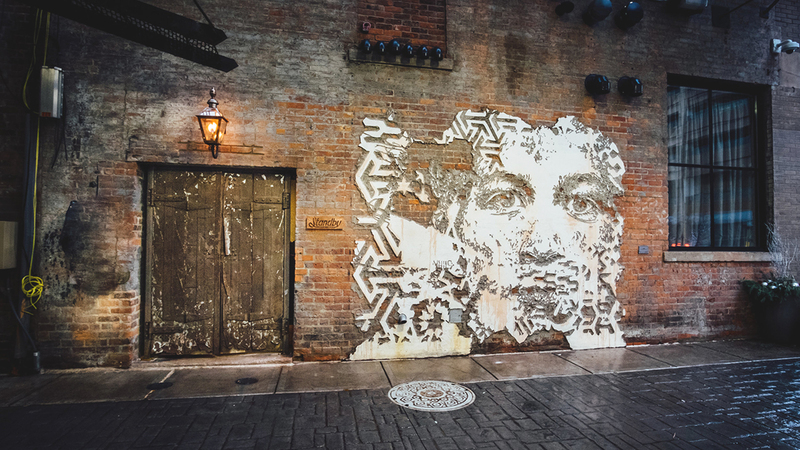 The artistry and heart that goes into the bars and restaurants of Detroit is hardly news to the city’s longtime residents. With great breweries and distilleries abound in Michigan as well as bountiful farmland and orchards, the ability to create a truly local cocktail is at their fingertips. It’s high time you come see Detroit for yourself. 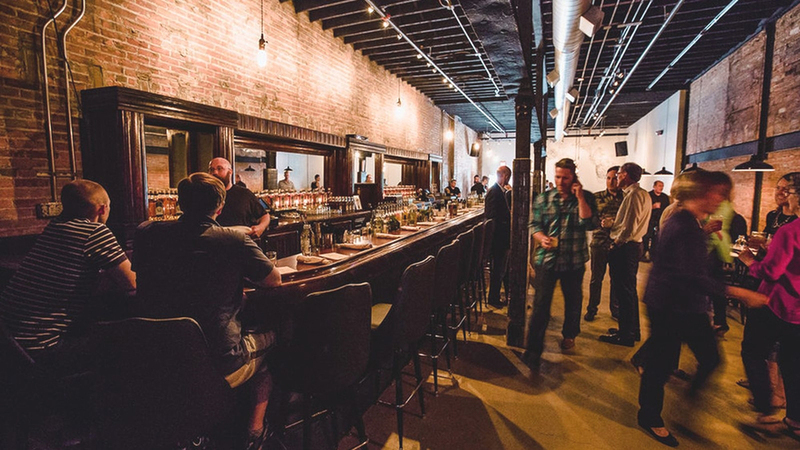 Ready to head out to one of these Detroit Cocktail Bars? Take Distiller along with you so you know what to try!